First of all, let me tell you that my blog has crossed 100 followers mark on GFC and I would like to say thanks to all my readers and followers who made it possible, with their support and encouragement. I hope to continue to entertain you with eclectic posts on my blog. So, here is my first such post. In this segment, “Blogger Interview”, I am so pleased to introduce Cathy, who is here to share things about her, about her blog and even give fellow bloggers some tips on how to improve their blog. I am sure you will enjoy reading it as much as I did, interviewing her. So, let’s hear it from her! RG: Tell us about yourself. LGL: I am a fiancé, a daughter, a sister, an administrative assistant, a reader, aspiring writer, a psychology grad student, a book reviewer, a tennis player, an animal lover and the list goes on and on. I am always trying new things; starting new projects, and getting new ideas. Sometimes, I have trouble finishing each project before starting the next one because I get so excited! In addition to my personal blog, Lip Gloss and Literature, I review audio books at the Chicklit Club; I co-moderate the Chick Lit Book Club and the Chick Lit Writers on Goodreads. I work 9 to 5, go to school once a month on the weekends and I am working on the manuscript for my first fiction novel. I live in Massachusetts with my fiancé and our cat, Honey. RG: It looks like you are good at multi-tasking, must be difficult managing so many things at the same time. I would like to wish you good luck for your first fiction novel. Hope it turns out great! Okay, I have to tell you that I am a cat person and I just love the name of your cat, so sweet! Now, let’s move on and understand why and how you got into blogging? LGL: At first, I ventured into blogging as a way to get my thoughts on paper and to keep track of all the books I was reading. 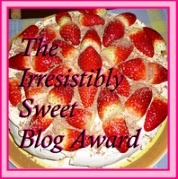 Originally, my blog was meant to be a diary of sorts, a chronicle of my life as I read and aspire to write chick lit. Over the past year, it has narrowed its focus to being a more traditional “Book Blog” which has been wonderful because it has offered me a platform to share what I love with the world and learn more about things related to chick lit reading and writing for myself. RG: What is your blog about? 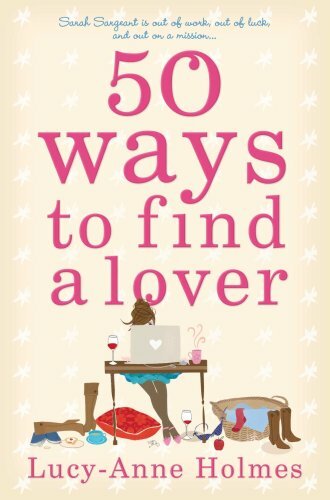 LGL: Everything Chick Lit! 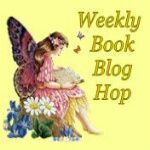 From book and audio reviews to author interviews and guest posts, book giveaways, contests, reading challenges, chick flicks and more. Lip Gloss and Literature aims to be your one-stop reading for everything chick lit. RG: Tell us about the layout, design and title of your blog. LGL: I loved creating the layout and design for my blog. For the title, I wanted to conjure up the idea of chick lit books, so readers would know based on the wed address what to expect. 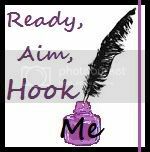 I came across other chick lit blogs: Stiletto Storytime, Novel Escapes, Candy Covered Books, Chick Lit Books, Chick Lit Reviews and Chicklit Club. One day while putting on my lip gloss, it came to me! Lip Gloss & Literature. (If you see me, I’ve always got some shiny lip gloss in hand!!) For the header, I started with Blogger’s Awesome, Inc., added some pictures that reminded me of chick lit and then to finish, I chose a background I loved from Hot Bliggity Blog’s free blogger templates. 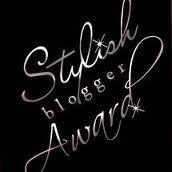 RG: You have done a great job with its design and blog title is girlish and stylish at the same time, very apt! Why you chose to review chick lit genre? LGL: Chick lit has been my favourite genre before it was even called “chick lit”. In my youth I read Beverly Clearly, Judy Blume, Francine Pascal and Patricia Reilly Giff. Now, in my twenties, you’ll find me curled up with books by Marian Keyes, Sophie Kinsella, Candace Bushnell, Lauren Weisberger and Emily Giffin. RG: All these writers you have mentioned are fantastic. Also, read Katie Fforde, Lisa Jewell and Lucy Anne Holmes. I mentioned these three writers, because in spite of the fact that they all write chick lit, they have a completely different style of writing and way of handling a story. How do you define a great chick lit novel? What qualities it should have? LGL: For me, chick lit is about character, relationships, emotion and growth. Usually, there is a great, leading heroine who we find at a very transitional time in her life who struggles to get to the core of her problem, and then either through self-reflection or other relationships, she learns how to change and live from there. Other common themes I look for include friendship, fidelity, forgiveness, love and overcoming adversity. RG: When you review a book, what is your prime focus: cover, title, plot, characters, etc? RG: Fair enough! What do you enjoy more in a novel: beginnings or endings? LGL: Oooh! That’s a tough question. I guess I would have to choose endings because I have such a love/hate relationship with them. I’m always racing to the end to find out what happens, but then I’m almost always sad that it’s all over. 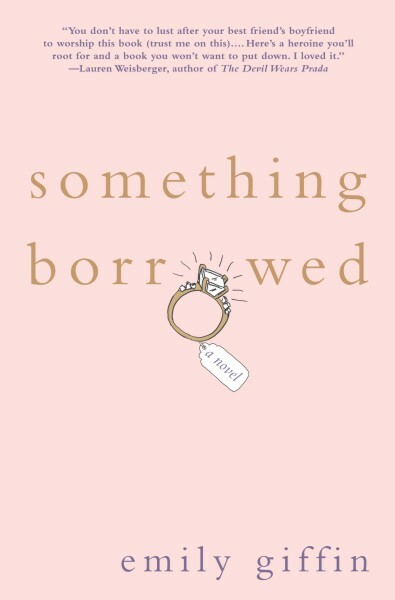 LGL: Right now, I’m going to say Something Borrowed by Emily Giffin. RG: Your favourite character from any book and why? LGL: I’m going to have to go with Becky Bloomwood from Sophie Kinsella’s Shopaholic Series. I love her for her optimism, her naivete, her ability to see the good in everyone and even all her faults, mishaps and addictions. RG: Good choice. 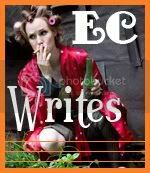 Sophie writes with wit infused with emotion, which makes her stand-out from other writers. List one blog you read first thing in the morning. LGL: Girlfriends Book Club is one of my absolute favourite blogs! It was created by a large crew of women writers and every morning I wake up to an email with their latest post. RG: List 5 tips for fellow bloggers on how they can improve their blog. 1. Set a theme so that readers can learn what to expect when they visit your blog. 2. Check out other blogs related to your blog’s topic to network with and learn what else is out there. 3. Be professional. For example, when writing reviews, even if you hate a book (for whatever reason) be professional about it. Save the name-calling, vulgarity and immature responses for your siblings. Be honest and constructive in your criticism. 4. Add an Email Subscription button so that Reader’s know when to go to your blog to check out new posts. I have just added it on my blog. RG: I am sure fellow bloggers will benefit from your helpful tips. What methods you use to get more followers on your blog? LGL: I am always looking for ways to boost traffic to my site, mainly by seeking ways to improve my blog. I think networking is a huge part of driving traffic to your blog. The way I look at it is, if I want more comments and followers on my site, I ought to comment on and follow other people’s blogs. Also, while I’m networking, I take a look at other blogs to see what elements I’m missing on my own blog or what features I like that I think could add something great to my blog. My newest addition is an email subscription button so that my followers will get notification when I publish new posts. RG: What are the upcoming attractions on your blog? LGL: I hope that readers will look forward to an exciting spring and summer at Lip Gloss and Literature. I am celebrating my 100th follower mark with book giveaway plus many more contests in the coming months. There will be more author interviews, book reviews and guest posts for readers to get to know even more about the chick lit genre. 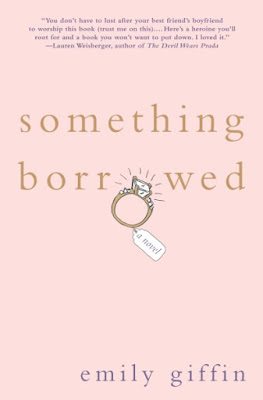 Also, be sure to look out for my chick flick review of the highly anticipated movie version of Emily Giffin’s debut hit, “Something Borrowed”, in theaters this May. RG: Congrats on achieving 100 followers mark! Okay, now my favourite question: If you become an author one day, what kind of book will you publish and why? 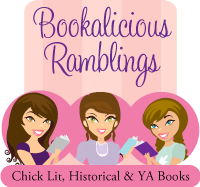 LGL: Chick lit! Surprise, surprise, I know; I always hear the advice “write what you know” and “read a lot in your genre” to learn about your genre, like what are the common themes and emotions evoked in addition to learning what I like and don’t like in books already published. I look at my reading as research (in addition to fun). RG: Thank you so much, Cathy, for sharing your thoughts with my readers. I wish you all the best for your blog. 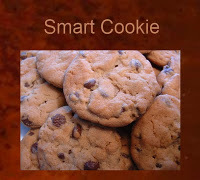 To visit Cathy’s blog, click here. I really enjoyed this. What a great idea. Thanks. 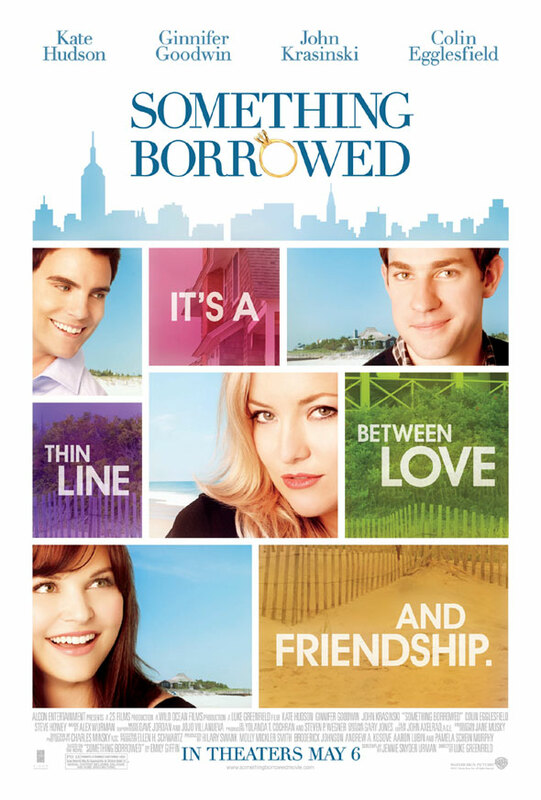 I can't wait to read your review of Something Borrowed. Reading your blog has become one of my favorite parts of the day. Congrats on crossing the 100 mark, Komal! Congrats on the 100+ followers. Great idea here with Be My Guest. Those were great interview questions and very awesome responses :-). Nice to meet you both. I’m now following your sites. 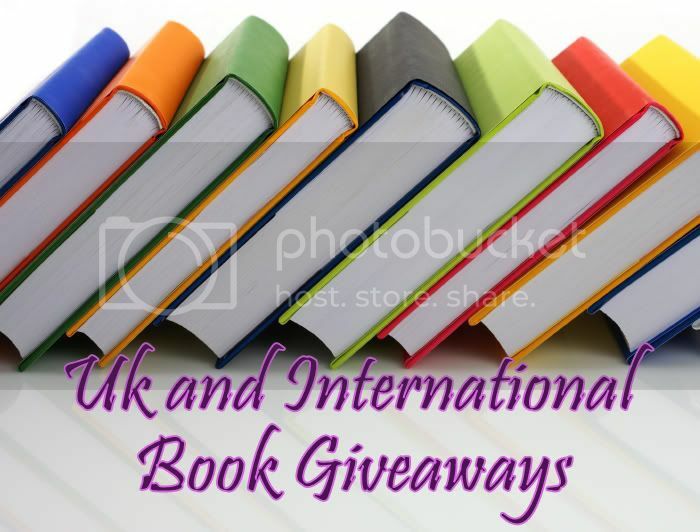 (from book blogs) And congratulations on reaching 100+ followers! Congrats on your engagement, Cathy! I like many of the authors you do--great recs!